WOW!!!!! What a great gift to mankind. I'm not there yet but I am working on it. Thank you Don Miguel Ruiz. Awesome book, excellent service thank you! A must read for everyone, helpfull and self fullfilling, get a copy! This book changed my life!! Yes at times it was hard to continue to read, but not because it was hard to read, but because I wasnt in reading mode. Then I read The Fifth Agreement and I couldnt set that book down!! This is one of the best books I have ever read!! Get it and watch you life change before you eyes. Then read The Fifth Agreement and feel the best you have ever felt in your life!! This book is a waste of time--many more & better books out there. To compare him to Carlos Casteneda is a major insult to Carlos. This book is about Christian values in a very different way. 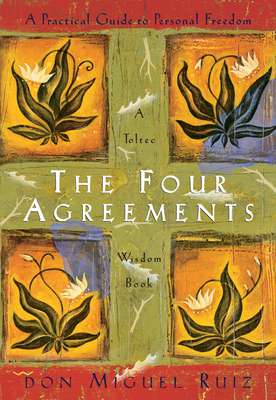 The idea of life being a dream..etc are out there but the Four Agreements are solid life changing advice.